Delta Delta brothers Riley Struck ‘19, Cooper Gramling ‘21, Owen Sackmaster ’21 and Parsa Khorasanizadeh ’21 attended Balfour Leadership Training Workshop last August. Each took part in different leadership groups including Magister, Ritual, Quester and Future Leaders. On the final evening of BLTW Delta Delta was awarded the 2018 Peterson Significant Chapter Award, the Fraternity’s highest honor for undergraduate chapters. Delta Delta was one of 65 chapters out of 242 to be so recognized. Established in 1964, the Peterson Award recognizes chapters that achieve excellence in all operations, including academics, philanthropy, recruitment and Ritual performance. BLTW consists of large group, small group and chapter sessions. In large group, all of the brothers on each track sit in on presentations and large scale discussions about the topics related to their track. In small group, 8-10 brothers from various chapters meet with a facilitator, and the discussions are more personal regarding your chapter and your plans for your position. In chapter sessions, the brothers from your chapter meet with a facilitator and brainstorm attainable goals and milestones to improve your chapter. This year our main goals are to remain on an upward trajectory with Derby Days, maintain a high level of campus involvement, and to increase chapter attendance. “BLTW is an awesome experience for undergrads, especially younger guys looking to start taking positions in the house,” remarked Riley Struck who was on the Magister track. “The most beneficial part about BLTW was hearing about the concerns and activities of the international fraternity from the people in charge. It’s easy to be complacent or frustrated during the school year when you only hear new rules and regulations from our Consul or Pro Consul. Having the opportunity to converse 1 on 1 with the BLTW faculty and Sigma Chi executives is extremely enlightening regarding the day-to-day operations of the Fraternity. 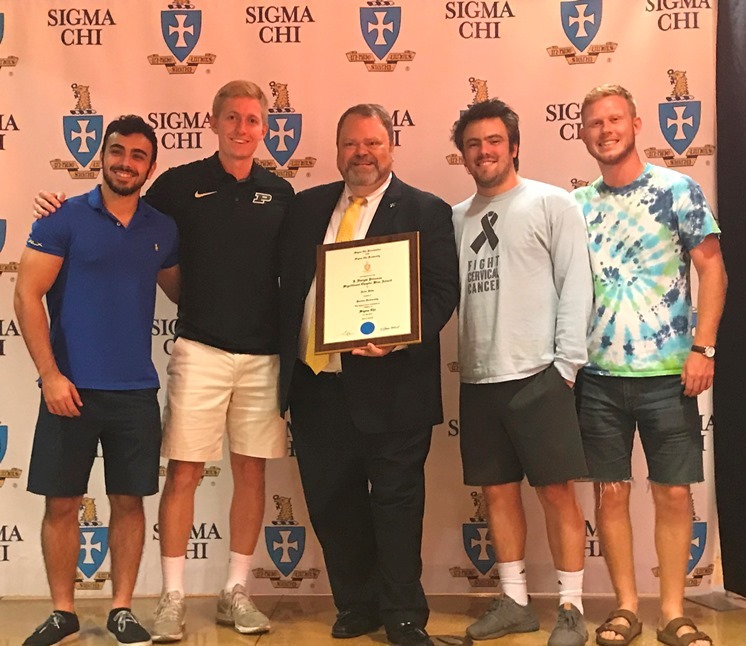 In the Magister track, most of the discussion dealt with the pledge program and effective strategies for getting the pledges and active brothers on board with the attitude and goals of pledgeship,” Riley concluded. For all the Delta Delta participants at this year’s BLTW (to be renamed next year, the Krach Transformational Leaders Workshop) one of the greatest benefits is meeting Sigma Chis from all over the country. This gives each brother a chance to learn about the challenges other chapters face and the differences that exist between different chapters and schools. Most of all each Sig establishes a larger circle of friends that they can stay in touch with and even visit.